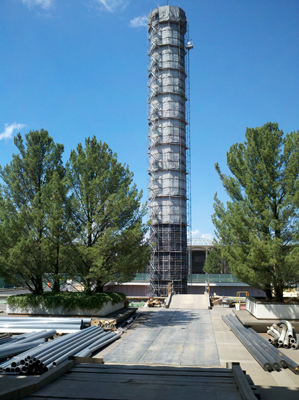 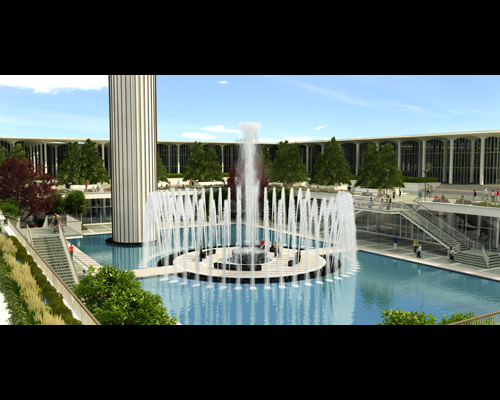 The water tower and main fountain area, located within the Podium of the Uptown campus, are not only central, architectural elements to the campus but the 248 foot tall tower includes a 311,000 gallon water tank in it that provides both water volume and pressure for the domestic, sprinkler, and standpipe systems for all Uptown buildings, most notably the 24 story residence towers. 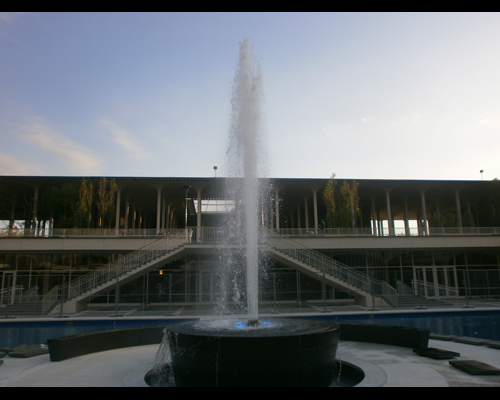 Each of these campus features – constructed in the mid-1960s – functions today with very few modifications from their original construction and are in need of a major renovation to ensure their continued operation. 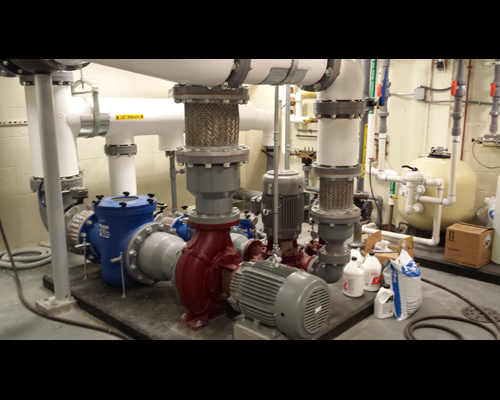 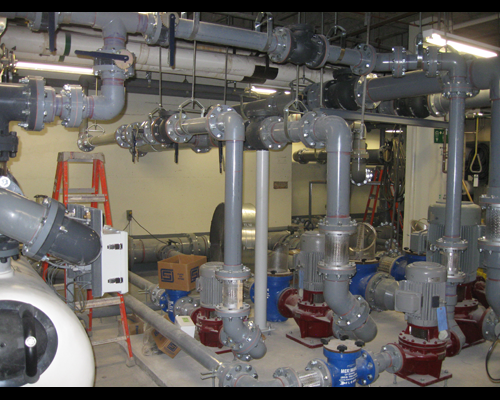 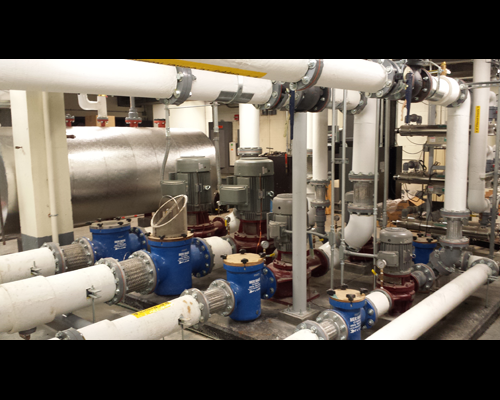 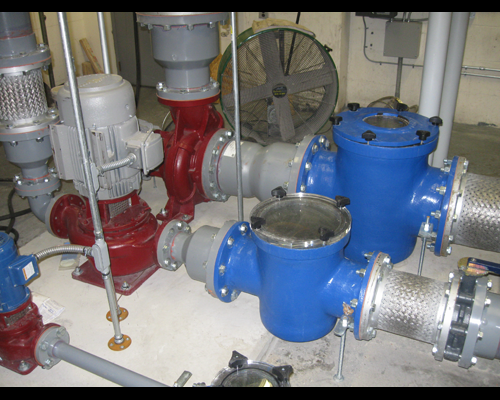 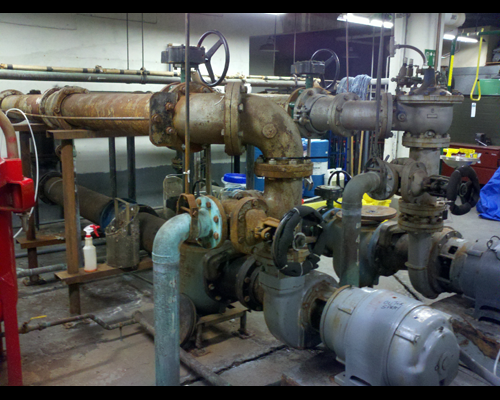 The pumps, pipes, fixtures, and mechanical systems have numerous leaks and issues which require constant attention and repair. 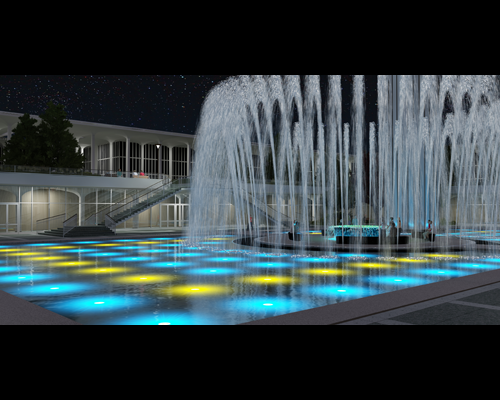 The lighting systems at both the main fountain and the Campus Center fountain are problematic, consume a disproportionate amount of energy, and do not serve their intended function. 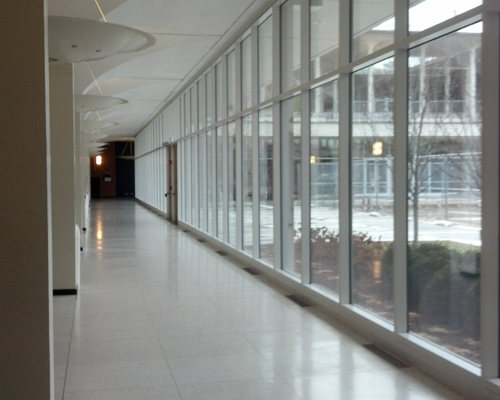 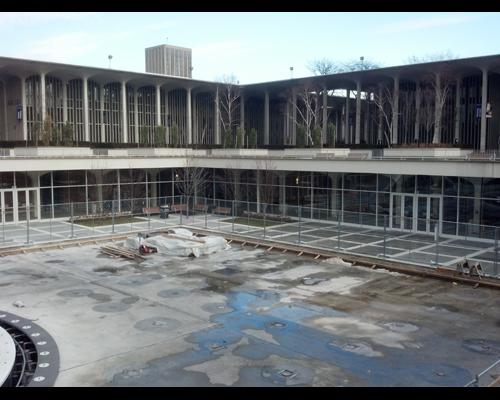 Additionally, the windows that surround the main fountain at the Lecture Center Level are inefficient single pane glass with steel framing which is rusted and deteriorated in places. 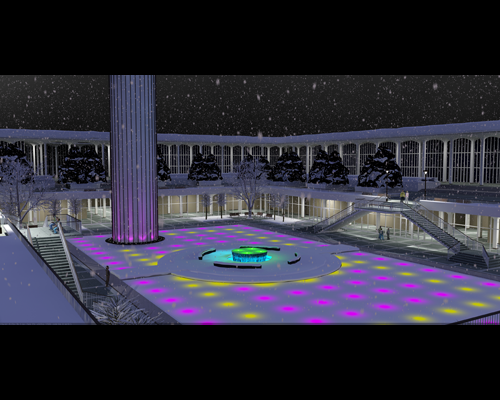 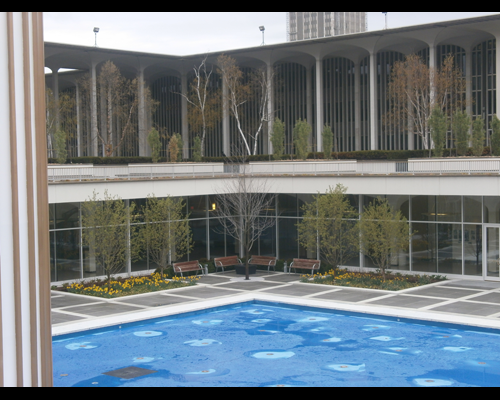 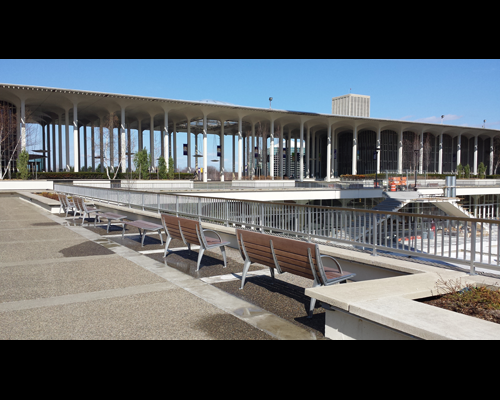 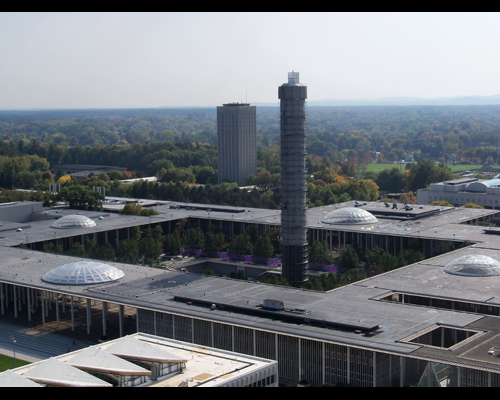 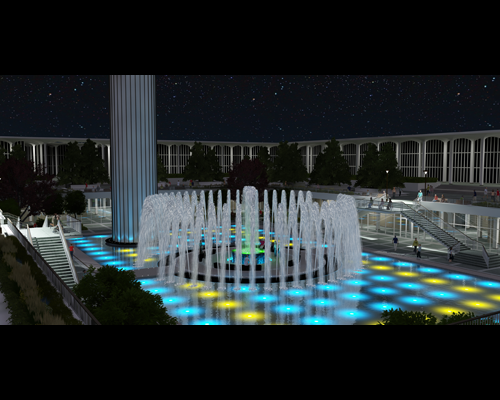 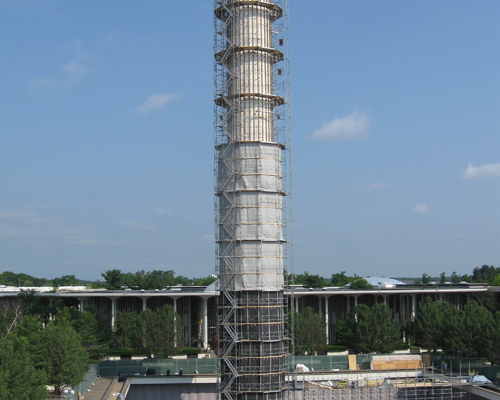 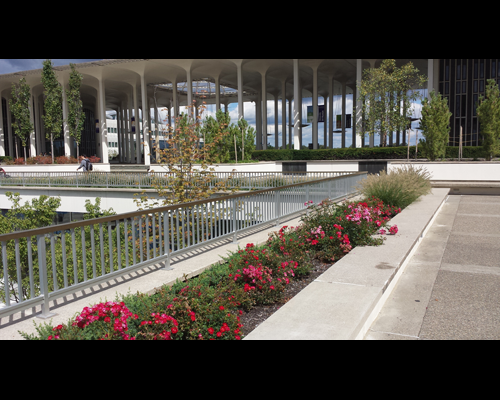 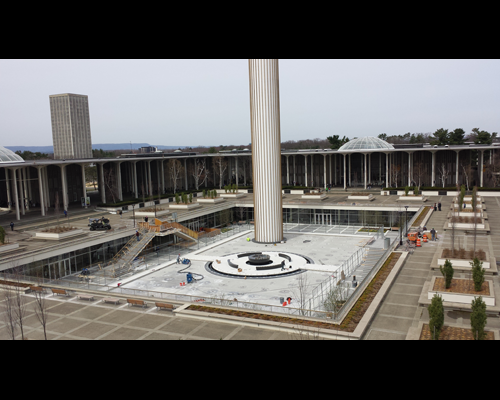 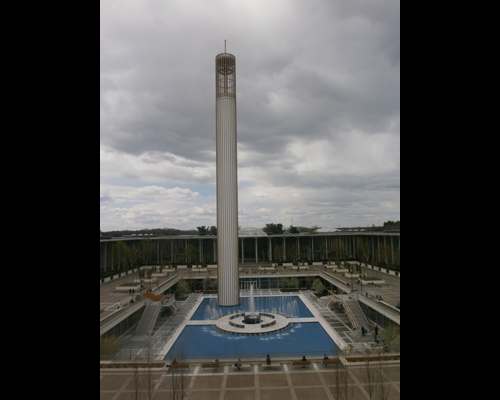 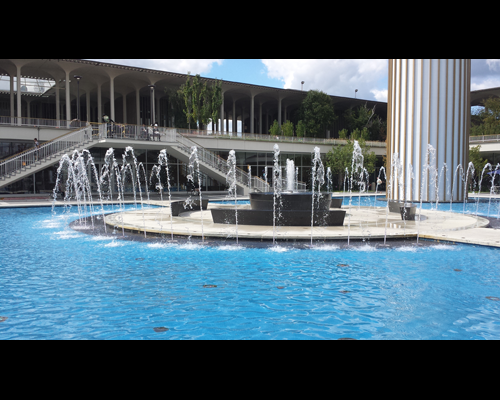 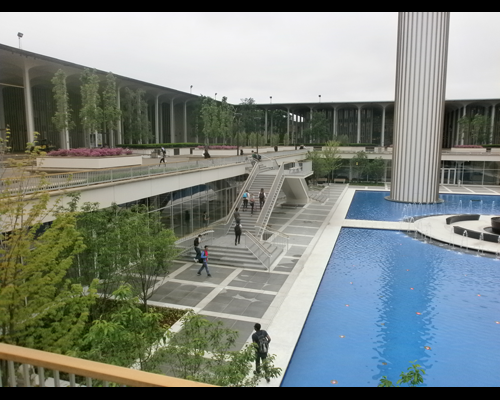 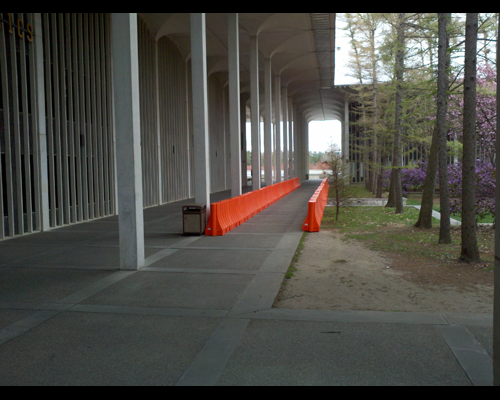 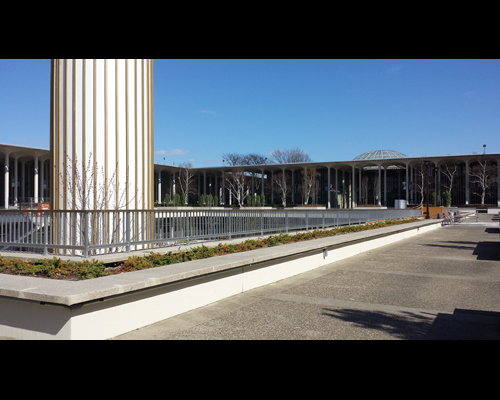 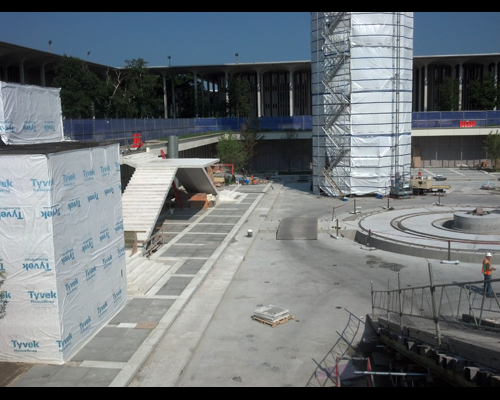 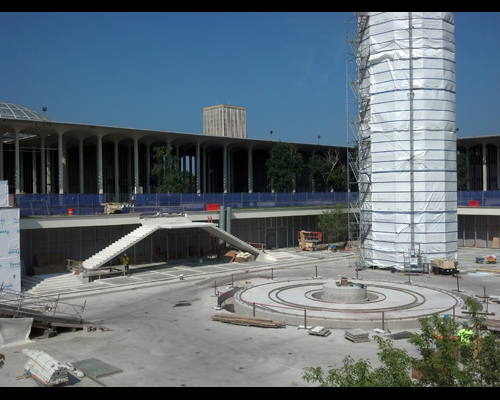 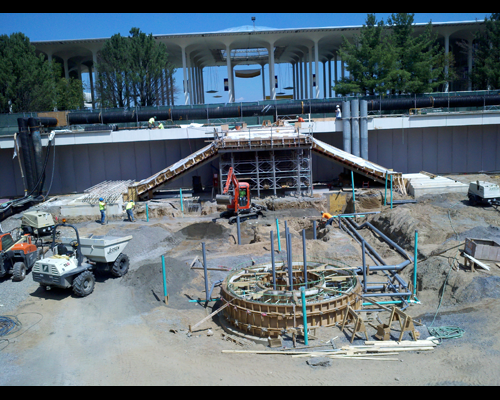 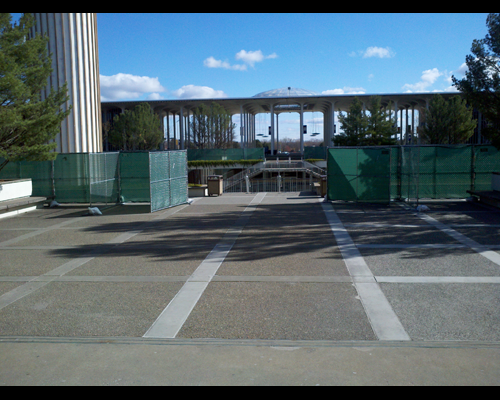 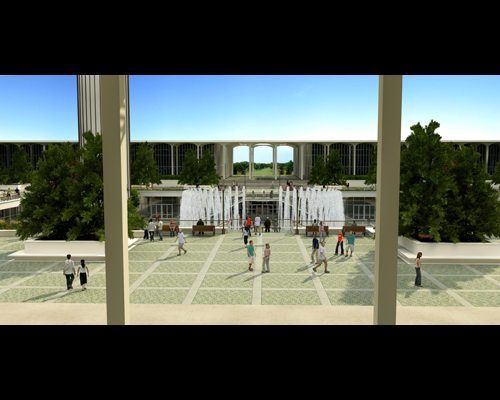 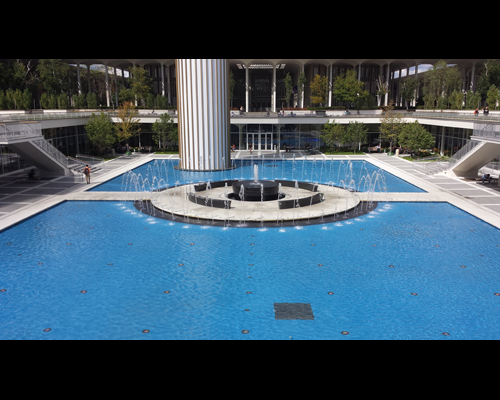 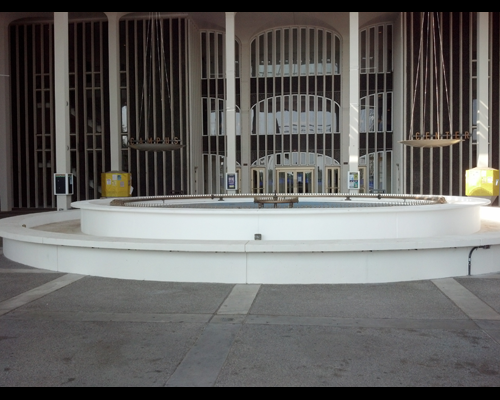 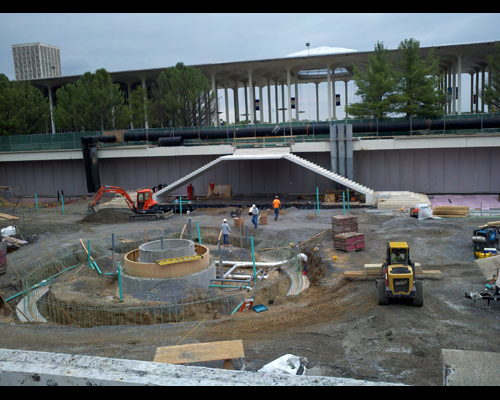 Accordingly, as part of the overall architecture of the Academic Podium, and one of the identifying elements of the University at Albany, the water tower and fountain areas (both the main fountain and the Campus Center fountain) were fully renovated, upgraded, and preserved over the2012-2014 period. 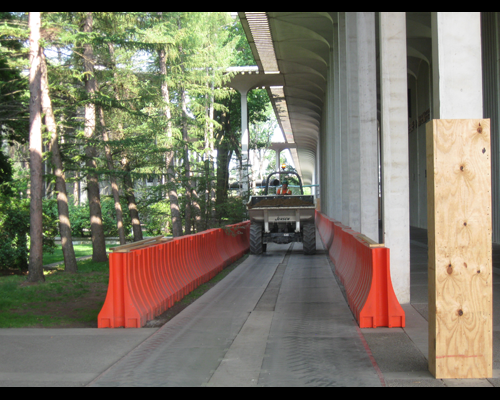 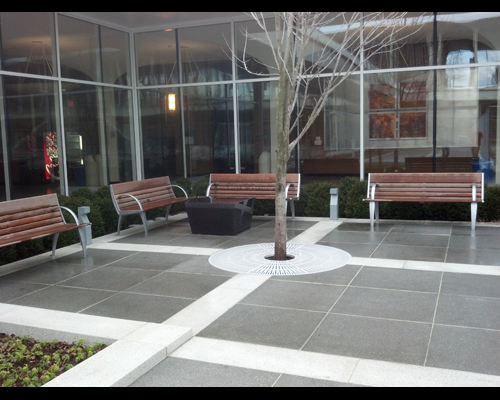 Deferred maintenance was addressed and selected features were upgraded to create a more dynamic and welcoming "sense of place". 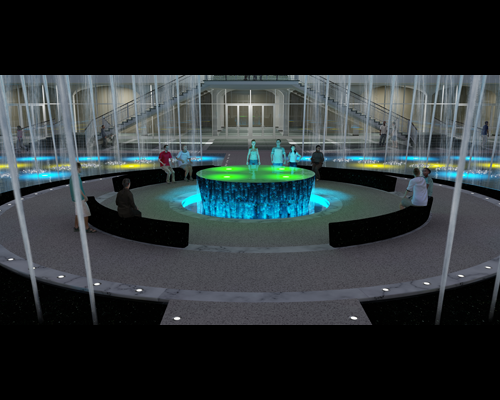 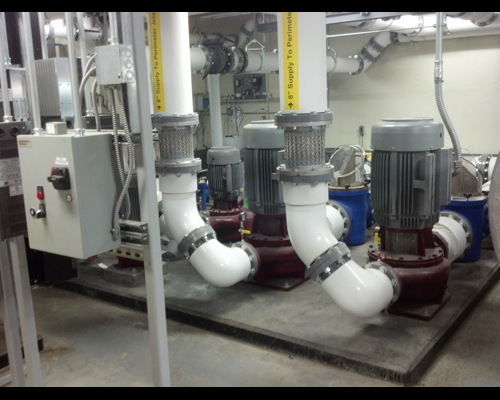 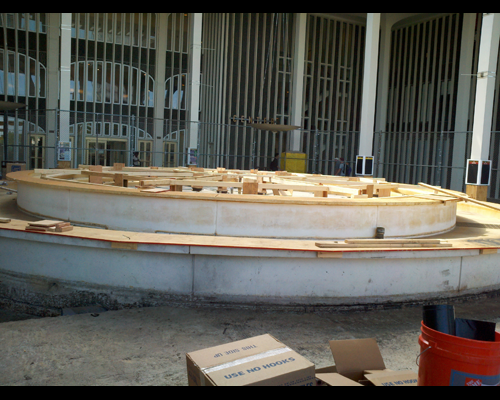 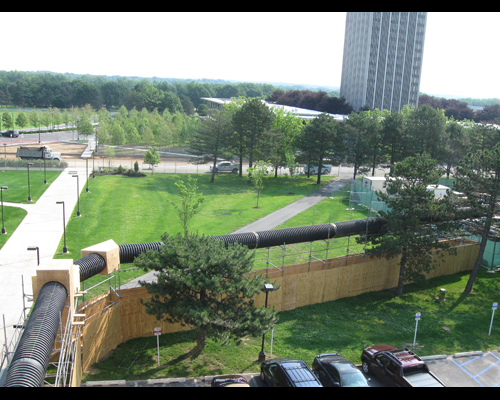 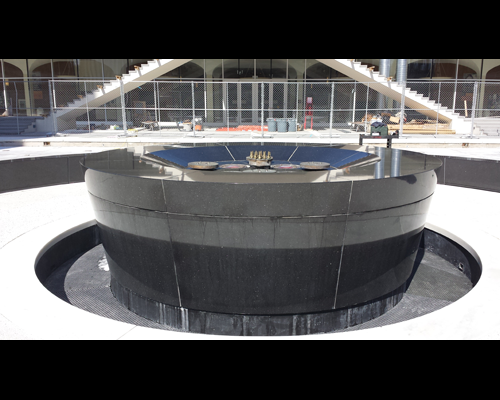 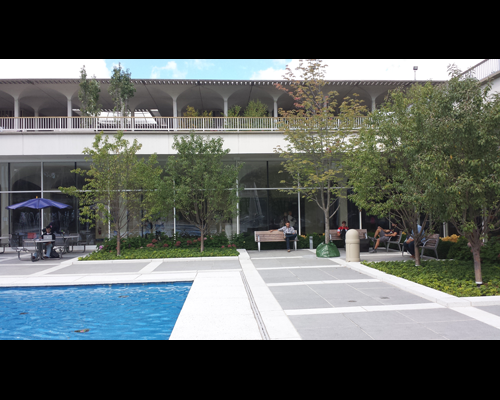 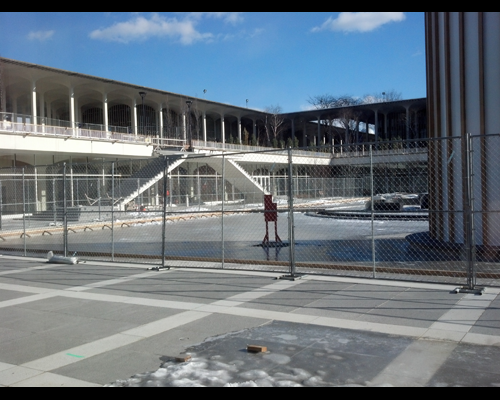 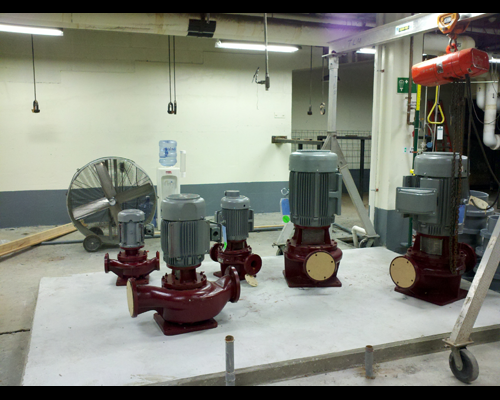 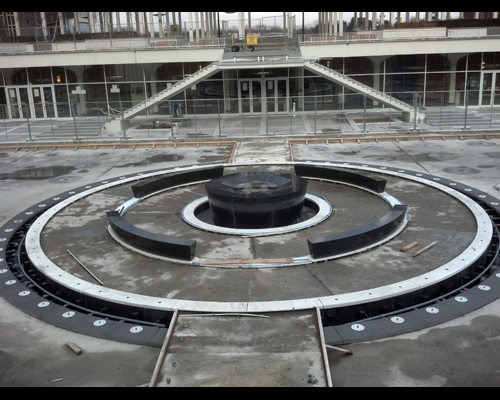 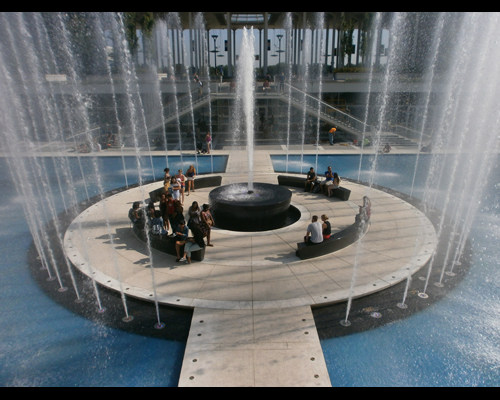 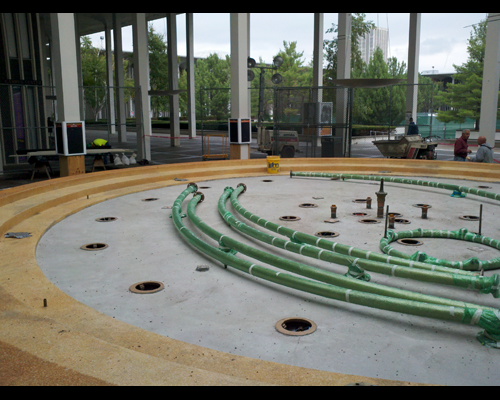 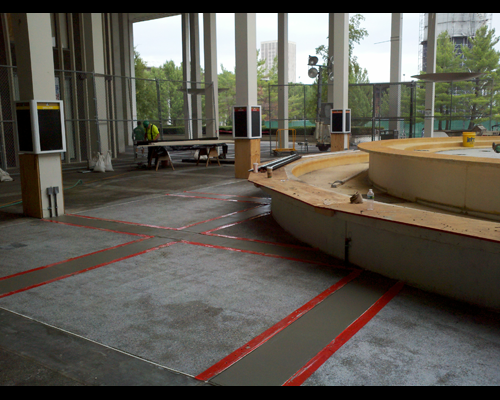 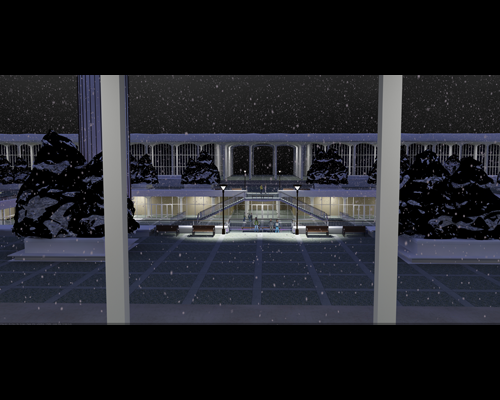 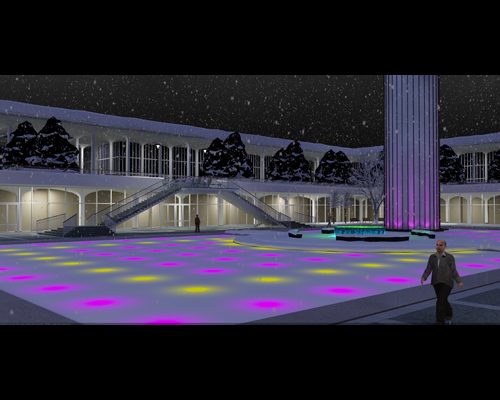 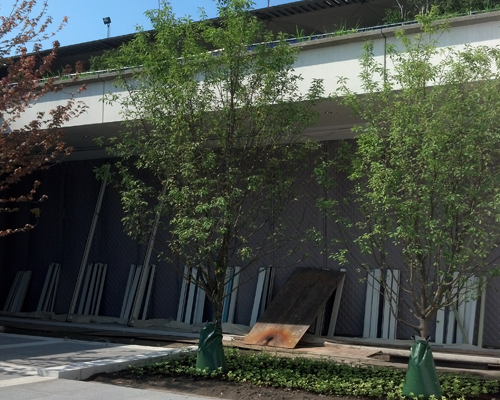 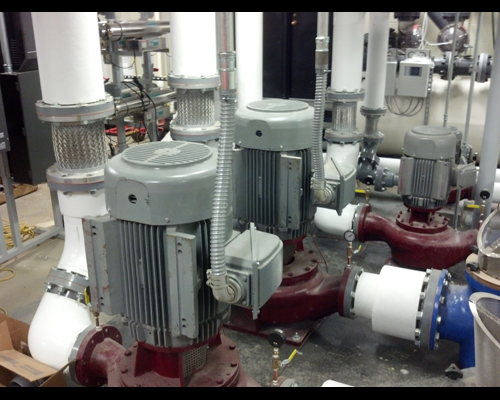 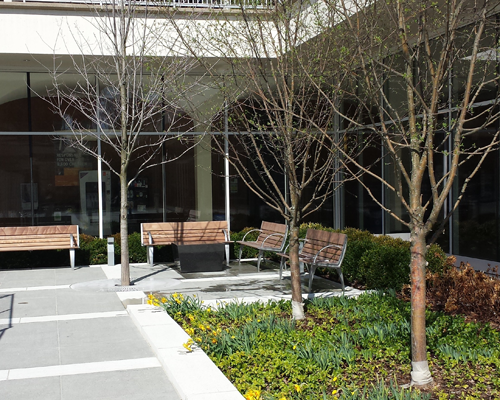 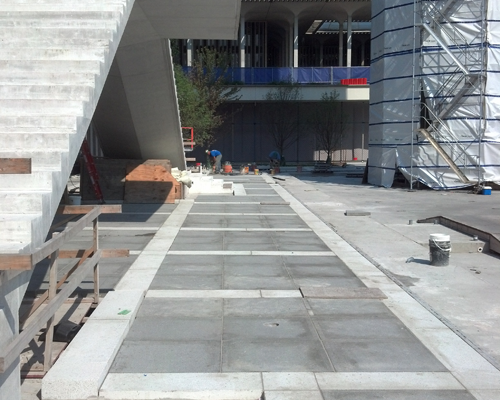 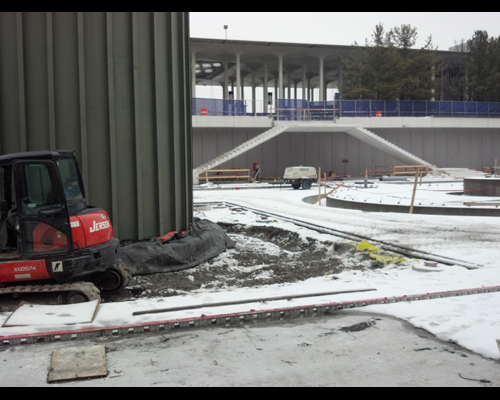 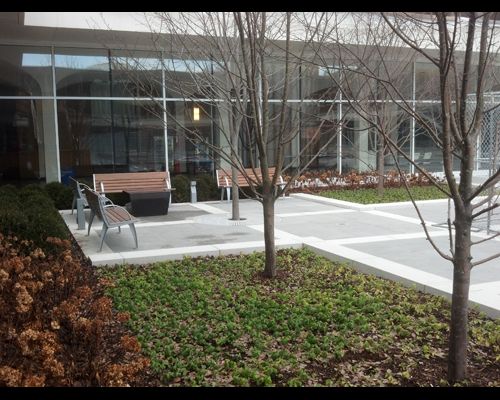 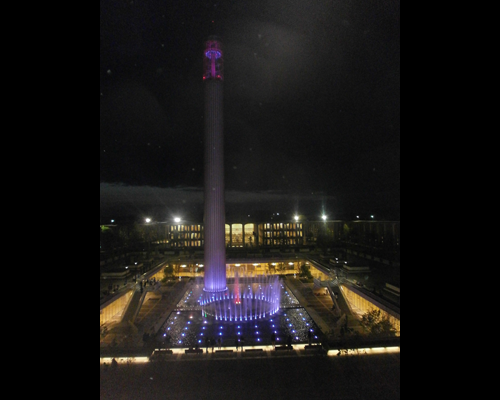 This project completely renovated the main fountain and water tower area as well as the Campus Center fountain. 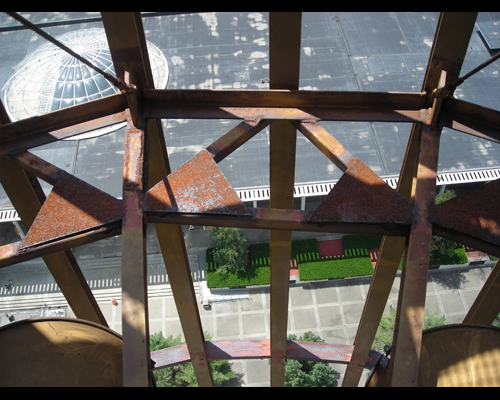 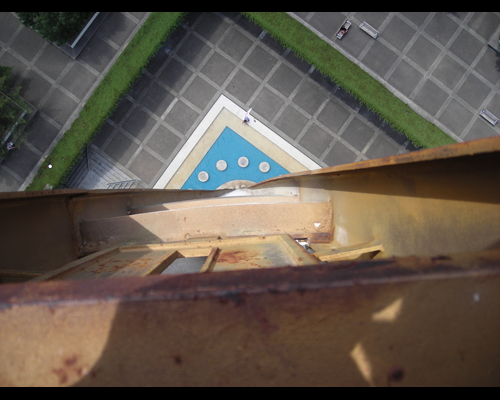 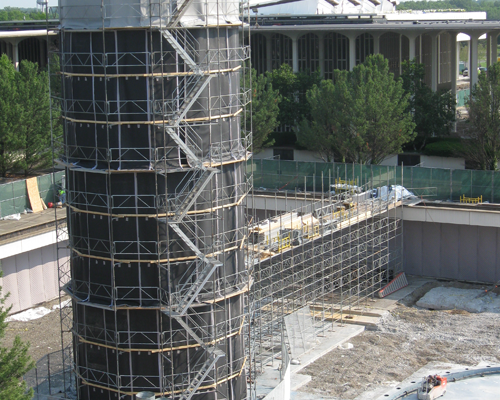 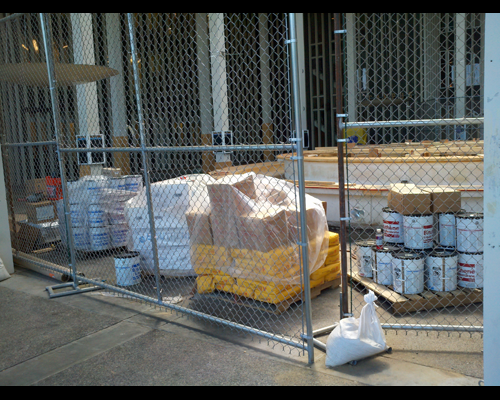 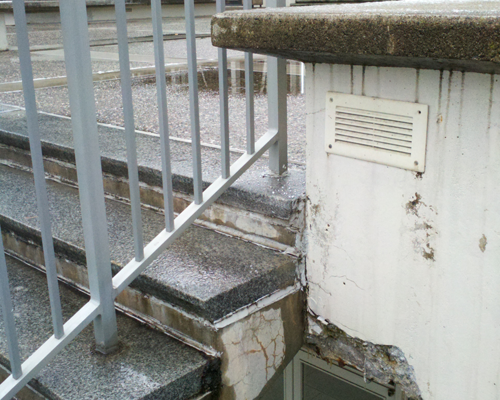 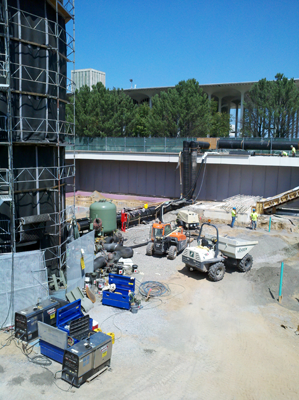 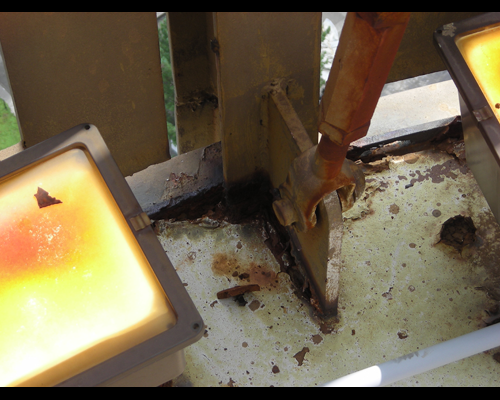 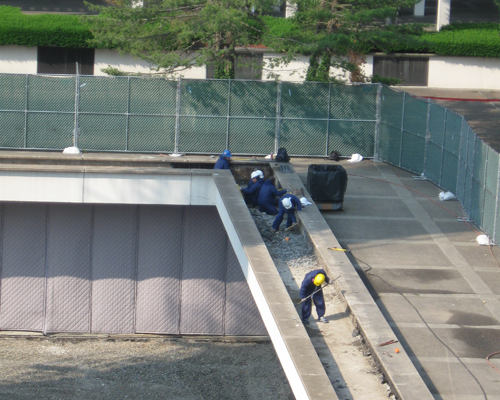 The water tower work included the removal of any corrosion and the reinforcement of any deficient structural elements. 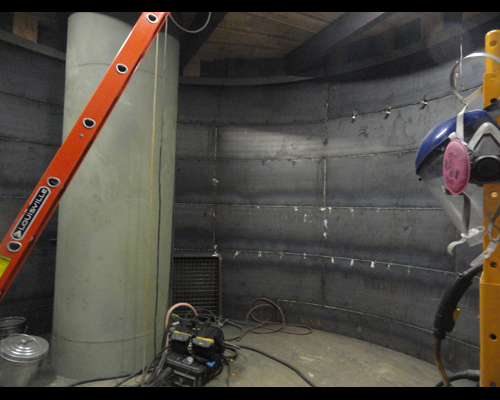 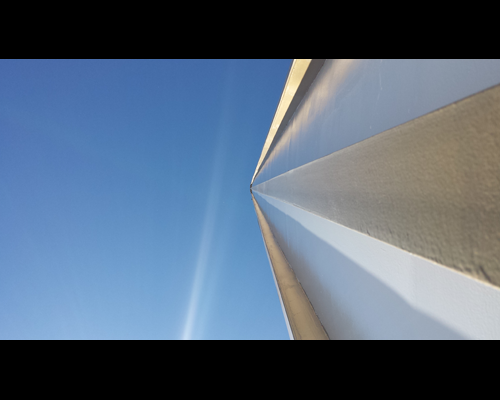 New water proof coatings were applied to the interior and exterior of the water tank and structural system; and the tank's heating system, which protects water from freezing, was replaced and updated to modern standards. 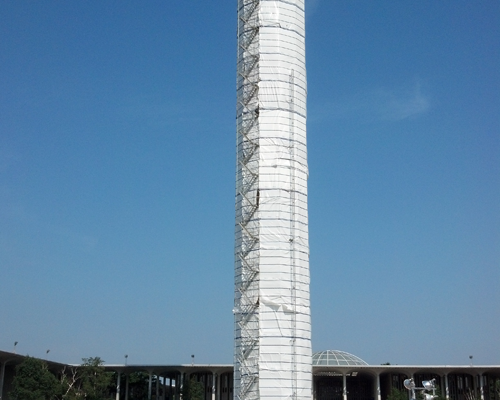 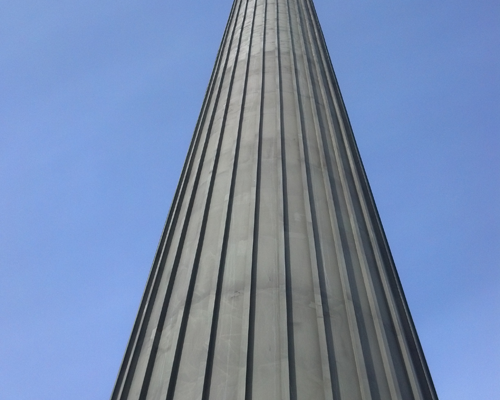 The tower exterior was cleaned and re-surfaced to its original condition. 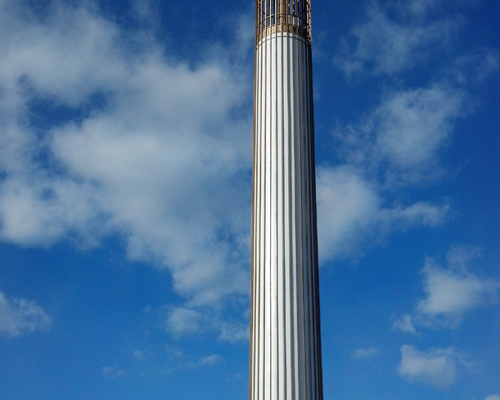 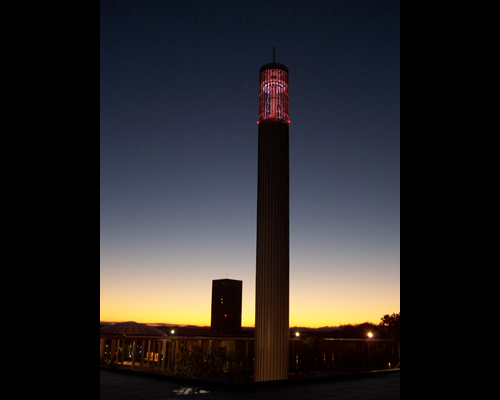 A new speaker system was installed in the Carillon; and the tower's iconic lighting was upgraded to an energy efficient, LED lighting technology, saving energy and adding a new special event light-color feature to the campus. 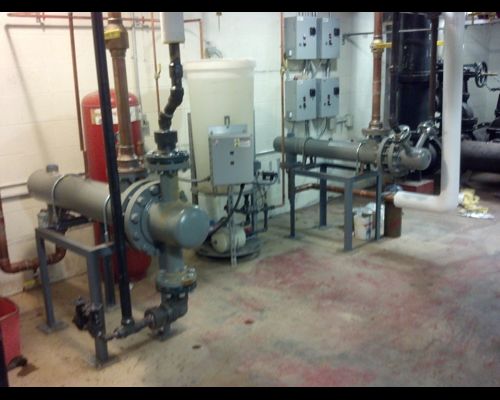 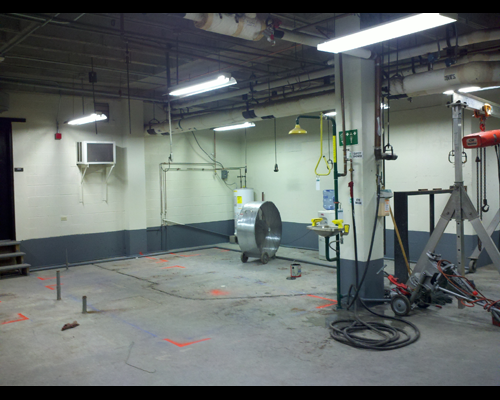 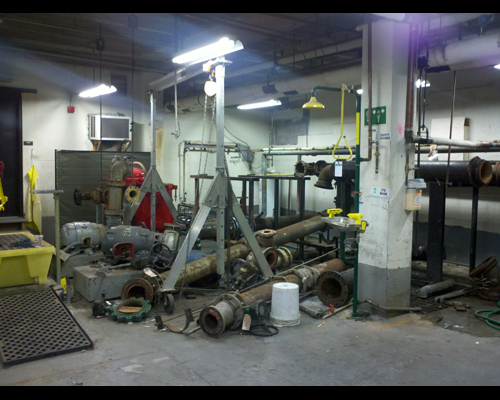 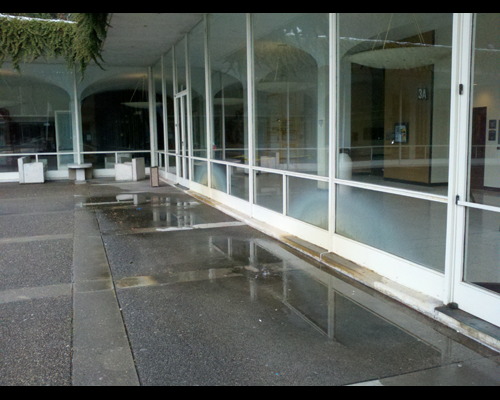 The main fountain work area was extensive and addressed all known deferred maintenance deficiencies in this location, taking advantage of the economies of scale of combining work and minimizing the duration and frequency of disruption to campus life if such work was scheduled in some other multi-phased approach. 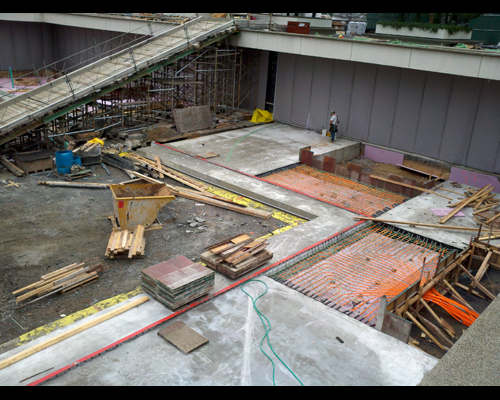 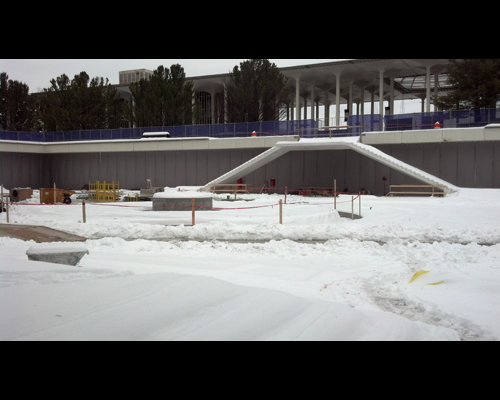 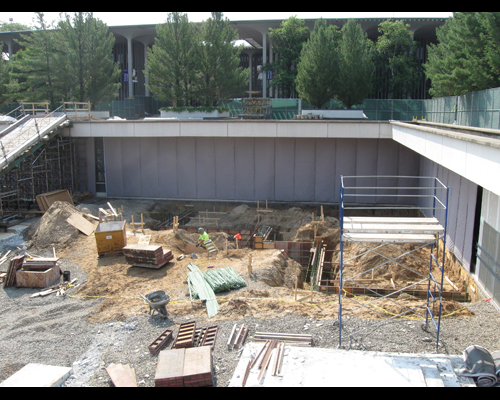 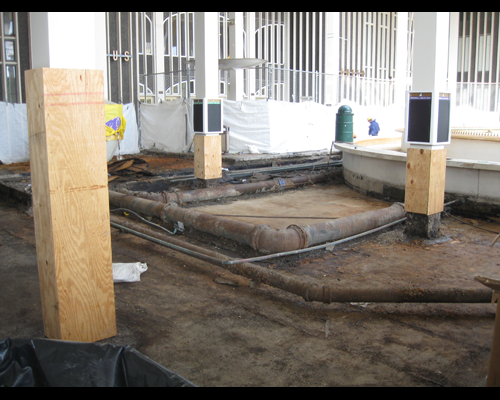 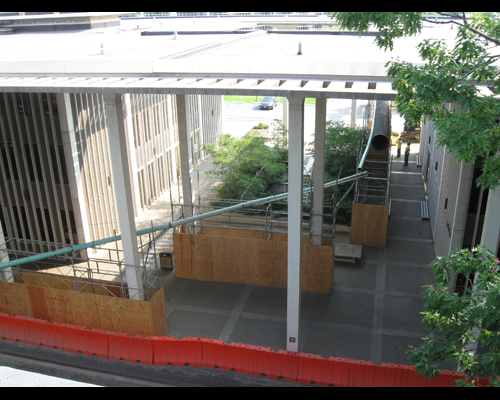 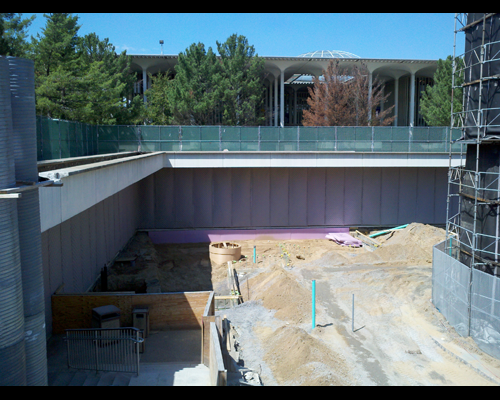 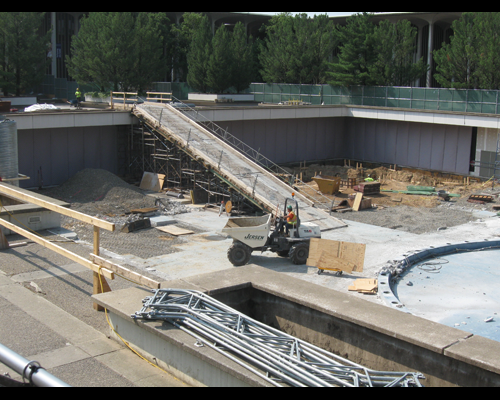 More specifically, the main fountain area work included replacement of the deteriorating stairs leading from the Podium deck to the fountain area; replacement of the single-pane, inefficient, and corroding windows around the Lecture Center concourse with a new energy efficient curtain wall system; and work included demolition and upgrade of the fountain deck and the fountain's mechanical, electrical, and plumbing infrastructure. 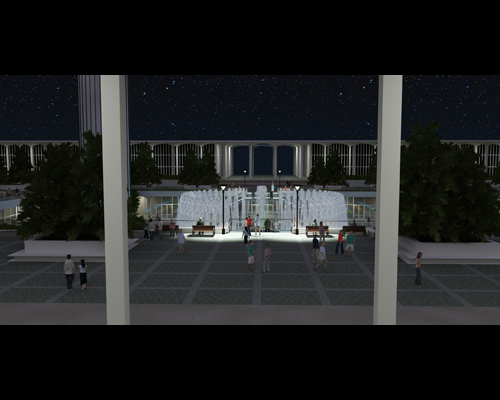 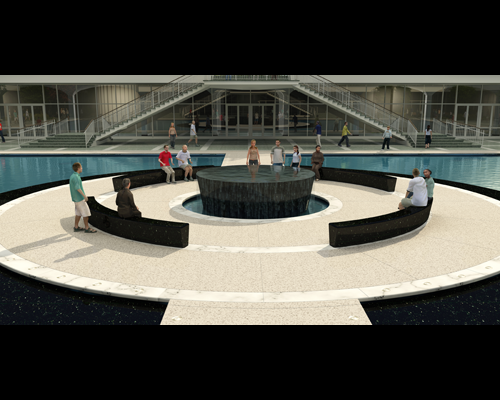 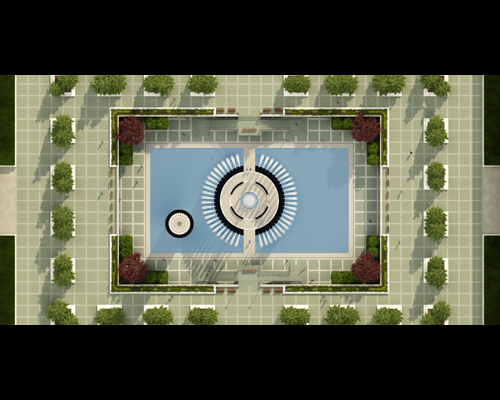 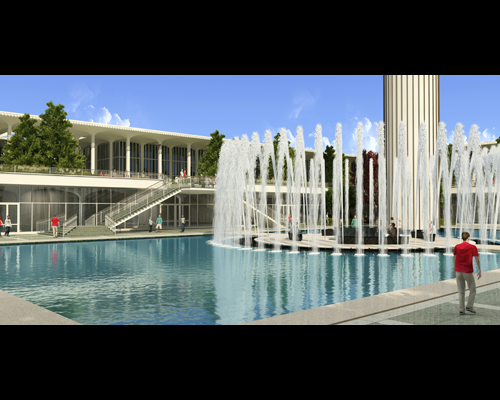 Improvements to the fountain have created an attractive four season location with the addition of selected trees, gardens, and landscaping, LED lighting in the base of the fountain, and a new, more interactive center element with seating area(s).